Calling all travelers: The U.S. to Australian dollar exchange rate is near a record low. It’s also off-season for airfare. 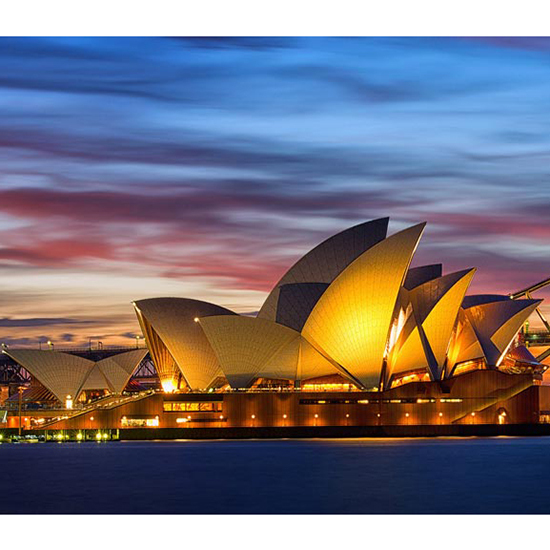 Both of which are to say that if you’ve ever dreamed of taking a trip down under, now’s the time to do it. Might we suggest any of these nine stunningly beautiful spots? This Queensland spot is iconic for a reason. The world's largest coral reef system, it's made up of 900 islands over an area of 133,000 square miles. Oh, it can also be seen from outer space. Uluru, or Ayers Rock, is a clay-colored monolith that’s one of the most zen places on earth and appears to change color throughout the day--especially at dawn and sunset, when it looks like it’s glowing red. Attention, surfers (or people interested in pursuing surfers): Go here. Byron Bay is a hot spot for water sports, whale watching and--if you’re really brave--skydiving. This one’s a bit of a misnomer. While there were originally 12 limestone stacks, only eight are still standing today. But it's still worth a visit to this super-cool spot off the coast of Victoria, where you can swim or snorkel (the area's got some of the most unique underwater scenery in the world). This world heritage site in the East Kimberly region of Western Australia is famous for its Bungle Bungle Range, the series of sandstone domes pictured above. Not an under-the-radar destination by any stretch of the imagination, but the bridge, opera house and insane views make a trip to Sydney well worth the hordes of tourists. This lake is pink. Do you need another reason to visit?